Guillemot Kayaks specializes in small wooden boats that are light enough to transport on the roof of your car. We sell plans for do-it-yourself boat builders, offer complete kits, teach classes, and build fine custom boats. 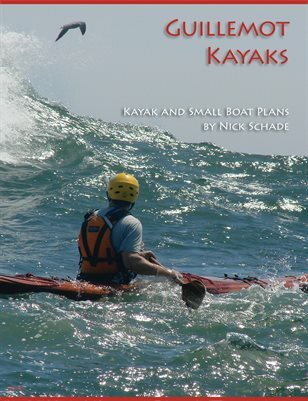 On these pages you will find information about designing, building and using kayaks. This is not meant to be stuff that only pertains to Guillemot Kayaks but is useful for anyone interested in kayaks and kayaking, and actually much of what you will find here is useful for other small boats including sailboats and row boats.